Plastic and Aesthetic Surgery: Look Your Best in Italy! Patients from around the world have discovered that Italy offers more than incredible history, culture and cuisine. Italy is a global leader in exceptional plastic and cosmetic surgery procedures, offering high-quality aesthetic surgery procedures at very affordable prices. Hospitaly offers the latest in cutting edge body and facial procedures to ensure that you’ll look your best, at prices that will make you feel even better. Our world-class cosmetic surgeons offer a wide range of beauty enhancement services, including breast augmentation, liposuction, tummy tucks, mommy makeovers, facial rejuvenation, facelifts and so much more. Are You Interested in Plastic Surgery? An abdominoplasty, commonly known as a tummy tuck, is a surgical operation to remove excess flesh from the abdomen for cosmetic purposes. It’s typically performed when dieting and exercise alone can’t get the abdomen back into shape naturally. If a woman plans to have children, it is advised to postpone the procedure until after her family is complete, although there aren’t usually major complications in post-abdominoplasty pregnancies. An abdominoplasty is performed under general anesthesia. Patients may need to spend a short time in the hospital after the surgery. It is important to be at your goal weight when you receive the surgery. You should remain at your ideal weight for at least 4-6 months prior to surgery. Lose weight sensibly. Healthy eating and exercise is recommended. Do not lose weight quickly by “crash dieting” or by using weight loss drugs. Quit smoking for at least 6 weeks before and after the surgery. The tummy tuck procedure may last up to five hours. After general anesthesia, the surgeon begins by making incisions in the lower abdomen. Excess fat and tissue are removed and muscles are tightened by stitching them in place. Leftover skin is pulled down and sutured. A new belly button may be created as needed. The mommy makeover is a combination of plastic surgery procedures generally focused on the breasts and abdomen. It may include a tummy tuck, breast lift, breast implants/augmentation and liposuction. Many women are choosing Italy for affordable mommy makeovers and enjoying an incredible trip to Italy at the same time. A mommy makeover may help restores more youthful breasts and a flat abdomen area. Many women want their clothes and swimsuits to fit again. A mommy makeover is a step in the right direction as it helps rejuvenate and restores a more youthful-looking body. Sagging or drooping breasts, uneven breasts, flat breasts, and stretched areolas or stretch marks on your breasts. Painfully large breasts that cause back pain. Sagging, loose skin around the midsection, stretch marks and love handles. Fat that hangs over a C-section scar. Excess fat in the hips and thighs. 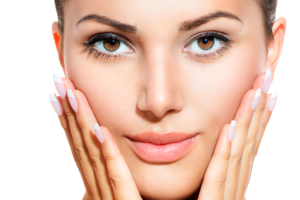 A facelift is used to treat facial wrinkles and excessive sagging due to aging. Patients may choose from many facelift surgeries, from minimally invasive to more extensive, complex and comprehensive surgery. A facelift restores a youthful appearance by removing excess skin and tightening facial and neck tissues and muscles. A facelift can eliminate or minimize sagging, jowls and a double chin, helping patients appear look slimmer and younger-looking. Every year, many patients choose Italy for successful facelift surgery. The results are outstanding. A facelift can restore a more youthful appearance in many areas of the face in just one surgery. Many patients report looking up to 15 years younger after a facelift. Most facelifts show immediate results that can last ten years or more. If you have one or more of the following, you are a candidate for a facelift. Sagging, creased or wrinkled skin on your face or neck. Deep lines or creases from your nose to the corners of your mouth. Lines that run the corner of your mouth down your chin (marionette lines). A double chin or sagging cheeks resulting in jowls. For patients seeking a more youthful appearance around the eyes, an eyelid surgery offers dramatic results for a small investment. 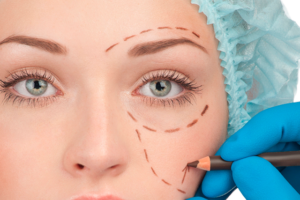 Eyelid surgery (blepharoplasty) can be performed on your upper eyelids, lower eyelids, or both. Your surgeon will review your facial muscle structure, bone structure, and the symmetry of your eyebrows, to decide the best approach to maximize results. Eyelid surgery helps you look younger and more vibrant by removing the puffiness and bags under your lower lids and eliminating the sagging skin on your upper lids. If you have vision problems due to overhanging eyelids, this surgery may eliminate this problem. Unlike other surgeries that may leave a scar, any scars from the eye surgery will be hidden in your natural eyelid creases. People will notice how great you look, but will never know you had surgery! If you suffer from any of the following, an eyelid surgery is the right procedure for you. Excess or sagging skin in your upper eyelids. Impaired vision from loose upper eyelid skin. Puffy upper eyelids that make you look tired and sad. Bags and dark circles under the eyes.